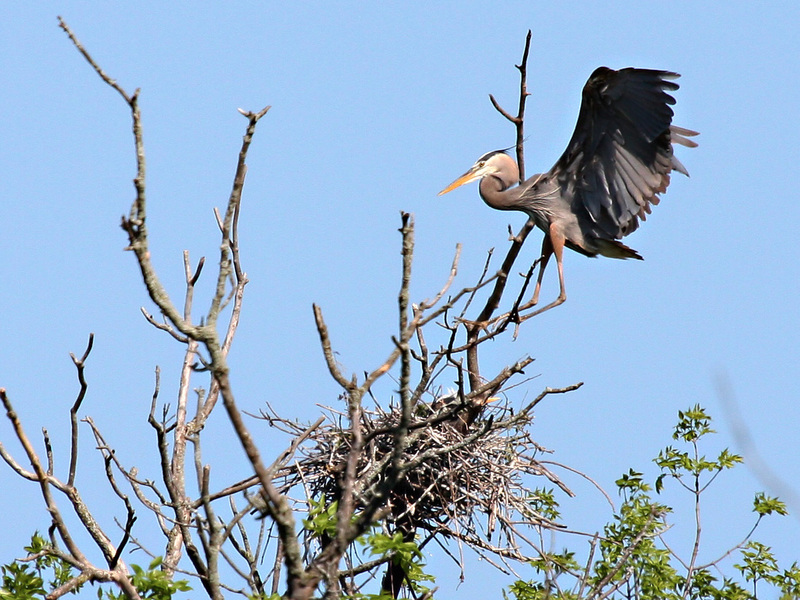 I just discovered a heron rookery not too far from Janesville, Wisconsin. I was there by 9:00 a.m. this morning, but the birds were already settling in for the day. There wasn’t too much activity. I’ll go again tomorrow morning if the weather is good and I’ll try to get there earlier than today. The photo above is my first attempt. The nests were approximately 150 yards away when I took this shot. These are large and beautiful birds. I never tire of seeing them. I’m glad you liked it. If I get more like this one, I’ll post them.